A small coastal town in Uttara Kannada district of Karnataka, Honnavar is a preserved slice of simplicity in today’s era of sweeping globalization. Having been around since the reign of Kings, the town has seen and absorbed eons that have passed through it. Honnavar today, therefore is a unique blend of village life against the background of modernity that is knocking at its doors. Located approximately 186 kilometers away from the bustling international tourist hub of Goa, Honnavar might very well be on another planet for all its differences. While most of Goa is a commercialized global village, Honnavar represents the minority of villages with tribal people living in them. The town has been historically important and mentioned in numerous historical recordings as a prominent sea port for several trade routes. An estuary, with the Arabian Sea to the west and the Sharavathi River to the South, the scenic views from the small town are breathtaking. Flowing entirely within the state of Karnataka, the mighty river is sacred to numerous indigenous people. The Western Ghats holds most of the river basin. One of the many reasons why the river is widely renowned is the fact that the river forms the famed Jog Falls. The river falls from a total height of 253 meters, an impressive height when compared to the fact that the Niagara Falls drops only about 53 meters. Jog Falls is a particularly awe-inspiring spectacle of nature to witness during the monsoon season given the high volume of water rushing down the slopes. The falls are located about an hour’s drive or 61 kilometers away from Honnavar. Within Honnavar, the river meets its final destination – the Arabian Sea giving rise to a medley of beautiful islands. Mavinkurva is one of the biggest and most inspiring island in the chain of islands formed by the Sharavathi River. With long winding paths and tufts of coconut groves, the islands are each tiny patches of paradise blissfully disconnected yet close enough from the mainland for comfort. Honnavar has been blessed with a topography that makes for thriving flora and fauna. Not surprising then is the fact that conquerors from far and wide wanted to rule over the fertile land. The Basavaraja Durga Island was one such attempt to keep invaders at bay. The Island Fortress is actually located in the Arabian Sea off the coast of Honnavar Taluk. The Island is accessible only by boat and is located 4 kilometers away from Honnavar town. The island has a total area of just under 20 hectares and an elevation of about 50 meters. Despite its negligible size, the island has an impressive number of fresh water wells. Sankranthi (January 14th of every year) is an auspicious time to visit the Island as the local fishermen and the boat owners flock to the temple to offer their prayers. The locals believe that the God will protect them from the wrath of nature. The South Eastern part of the fort has an old entrance that seems formidable when seen through the eyes of ancient sailors. Constructed in the year 1690, the fortress was built by the Vijaynagar rulers. The name Basavaraja Durga was given by the Keladi ruler Shivappa Nayaka in memory of the Keladi Prince Basavaraja. The Fortress is an impressive piece of history that has stood through the ravages of time and nature. The gigantic blocks that hold the fort up make it look like a scene straight out of a pirate movie. The eight canons that once stood sentinel over the fort remind visitors of a vibrant and proud past. Located 2 kilometers outside of Honnavar, the Kasarkod beach is a small 5 kilometer stretch of pristine coastline. With clean waters and sandy shores in short supply, the Kasarkod beach attracts thousands of tourists looking for a slice of sun, sand and surf away from the beaten path. The temples of Idagunji and Karikanamma dedicated respectively to Lord Ganesha and Goddess Kali are located close to the Honnavar town. Both temples are revered across India and receive thousands, if not lakhs, of devotees each year. With several things to do in and around Honnavar, the small town has seemingly endless options with something for everybody to enjoy. Whether you are looking for the perfect beach vacation, a trip down history’s memory lane or a religious getaway, Honnavar in North Karnataka is the perfect location. Apsarakonda Falls is a perfect destination to break free from the monotony of routine life. The scenic location of the waterfall has a pristine beach in its vicinity apart from a tall hill and a lovely pond. Mangalore International Airport is the nearest International airport to Honnavar. The International airport in Goa is also located 186 kilometers away from Honnavar. Both the airports are located at about a three hour driving distance from the town. Rental cars, taxis, public and private buses regularly ply the roads between the airports and the town. Two major national highways, NH 17 and NH 206 pass through Honnavar making it easily accessible through South India. NH 17 connects Honnavar to Mumbai, Karwar, Kumta, Ankola, Panjim, Udupi, Mangalore, Kundapura, Bhatkal, Baindoor and Ernakulam. NH 206 on the other hand connects Honnavar to Tumkur, Arsikere, Shimoga, Bhadravathi, Bangalore, Sagar, Gerusoppa and Jog Falls. This road is almost a scenic route with all the pit stops being popular tourist destinations between Honnavar and Bangalore. 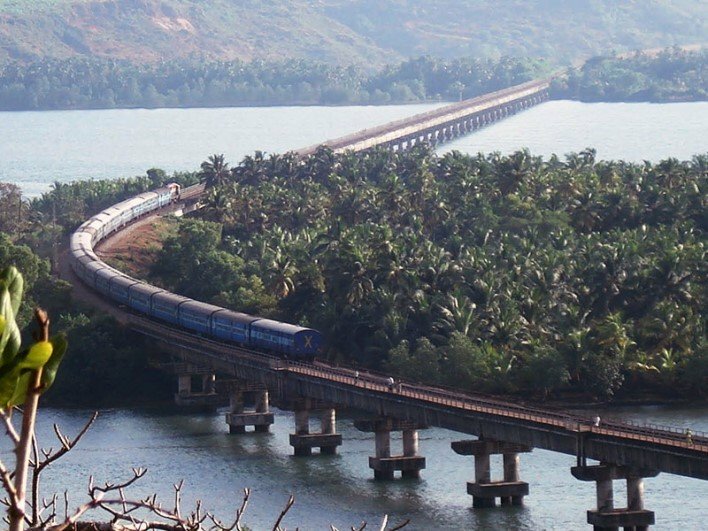 The Konkan Railway system connects Honnavar to the rest of South India. 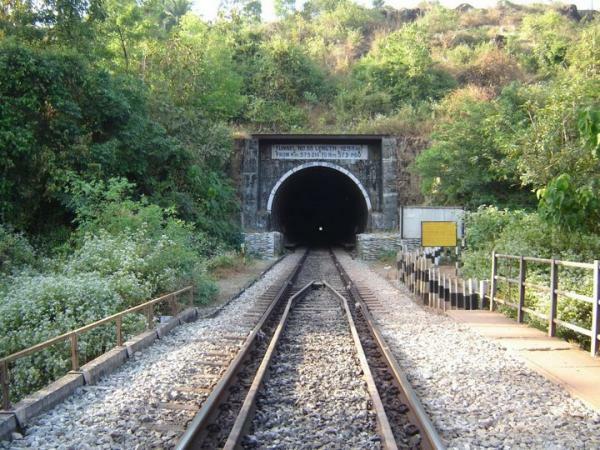 Honnavar has a railway station at Karki which is approximately 5 kilometers outside of the center of Honnavar town. Honnavar’s claim to fame in the Konkan Railway realm is the 2.065 kilometer bridge across River Sharavathi in the Honnavar taluk. The Sharavathi River is a major transport route between the small towns along its route. The route between Gerusoppa and Honnavar is heavily traversed through the river. The Inland water transportation system in Honnavar is one of the best in the state of Karnataka. Honnavar is a coastal town that enjoys warm tropical weather for most of the year. The summers, however can get uncomfortably warm with temperatures hovering closer to the 30 degrees Celsius range. The monsoons, as one would expect, are wet and humid. It might not be the ideal time to visit. September to early February is the best time to visit and enjoy the scenic beauty of Honnavar.